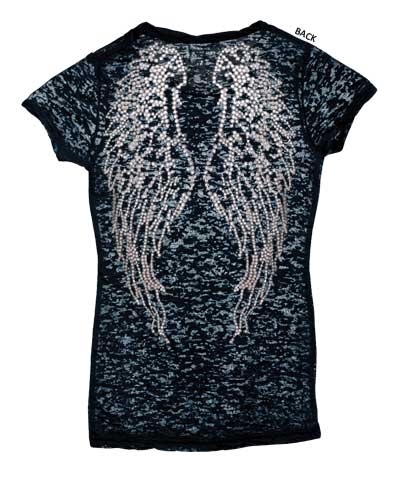 Gymnast Can Fly with Rhinestone Angel Wings Burnout Tee-Black. 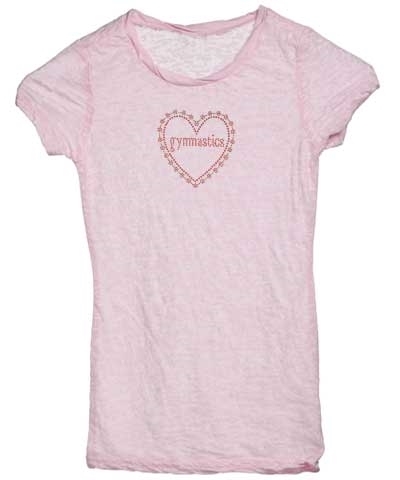 Wear alone or over your favorite camisole, sportsbra or layer with other tanks or tees. 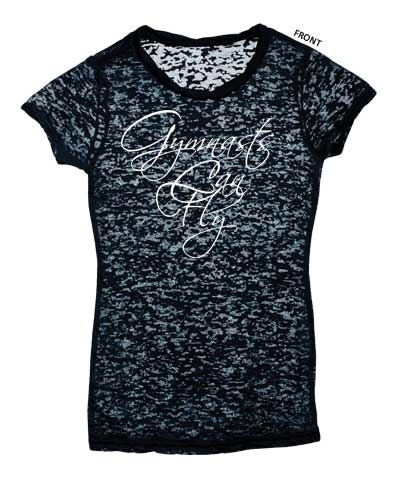 These soft cool burnout girly tees will become a favorite. 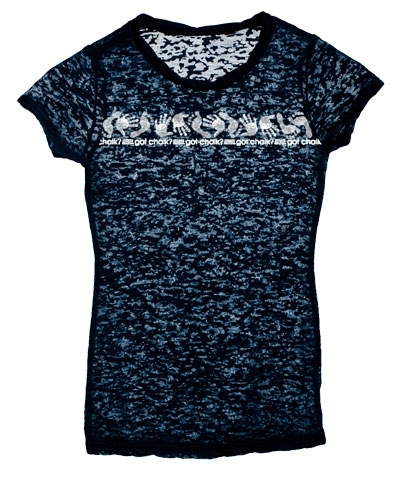 Made out of 50/50 Poly/Cotton fabrics and constructed in the new longer styling.